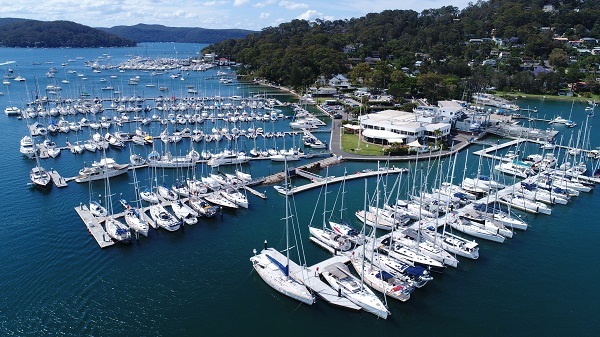 The Royal Prince Alfred Yacht Club is situated on Green Point on the pristine body of water called Pittwater, on Sydney's Northern Beaches. "The Alfreds", as it's known by locals and members, has a long and colourful history and is one of Australia's oldest and most prestigious yacht Clubs. The Club is currently home to the Admiral's Cup, one of yachting's most sought after trophies. The Club offers members and their guests one of the finest facilities in Australia; with state-of-the-art floating marina, a modern boat yard with 50 tonne travel lift, two hard stand areas, on-site marine services, tender service, gymnasium, multi-level secure parking, fine dining restaurant, casual waterfront bistro and first class function facilities that have made it an International talking point. The Royal Prince Alfred Yacht Club takes pride in its past achievements and dedication to its future success. The Alfreds' has an ongoing commitment to provide the best facilities and conditions for its members and their guests and, a warm and friendly welcome to National and International visitors. Our vision is "Excellence in Sailing" and to provide a world-class yachting facility that attracts and involves members in the enjoyment of the sport and leisure activity that is sailing. The Club offers inshore and offshore racing, cruising events, centreboard racing, social activities, a successful sailing academy for youth development, year round sail training programs, a schools program and its premier event the Pittwater to Coffs Harbour Yacht race.